'Fantastic Beasts' fans, Rejoice! We are finally going to see Dumbledore and Grindelwald together. According to The Hollywood Reporter, Warner Bros. announced plot details for the film on Monday, as principal photography began. The untitled film will pick up months after the events of Fantastic Beasts with Grindelwald (Johnny Depp) having escaped and "gathering more followers to his cause - elevating wizards above all non-magical beings. The only one who might be able to stop him is the wizard he once called his dearest friend, Albus Dumbledore. But Dumbledore will need help from the wizard who had thwarted Grindelwald once before, his former student Newt Scamander. 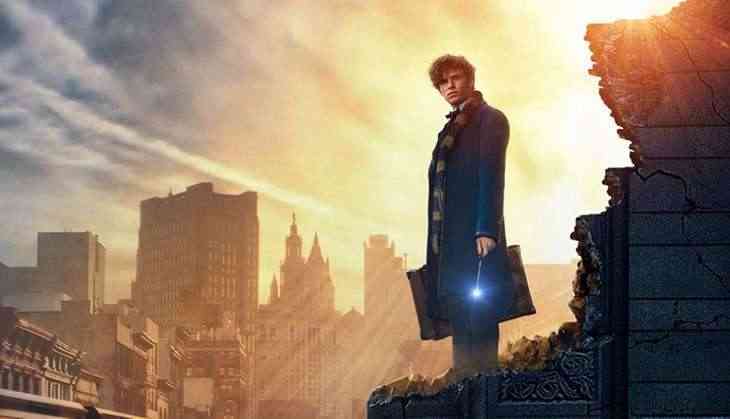 The adventure reunites Newt with Tina ( Katherine Waterston), Queenie ( Alison Sudol) and Jacob ( Dan Fogler), but his mission will also test their loyalties as they face new perils in an increasingly dangerous and divided wizarding world. Eddie Redmayne (Newt Scamander) and Johnny Depp (Gellert Grindelwald) will return, with a host of additions in the sequel. Jude Law has joined the cast as a young Albus Dumbledore, alongside Ezra Miller as Credence, Zoe Kravitz as Leta Lestrange and Callum Turner as Theseus Scamander, Newt's brother, a war hero and Auror. Harry Potter author J.K. Rowling wrote the script for the 'Fantastic Beasts' sequel after handling writing duties on the first film. David Yates, who directed the original feature, is back behind the camera as well. According to Warner Bros., "There are also some surprising nods to the Harry Potter stories that will delight fans of the books and film series." The flick is set to debut in theaters November 16, 2018.